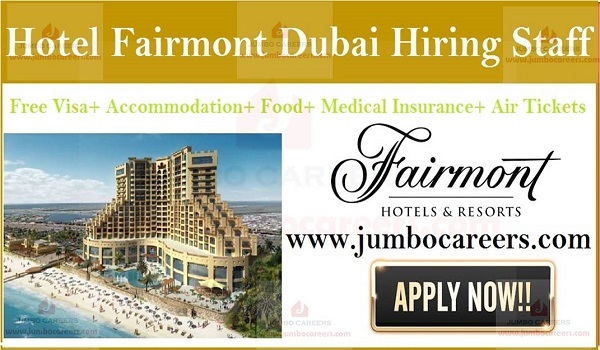 Fairmont Hotels & Resorts Dubai is hiring staff for various departments. Its a free recruitment by the company. Benefits of Fairmont Hotels & Resorts careers include free visa, accommodation, duty meals, medical insurance and air tickets. * An individual must hold either high school or equivalent diploma/degree in a similar role. * Having extensive numbers of prior experience would be highly preferred. * Good conversation skills in English and Arabic. However, Arabic would be an added advantage.